If you are in search of Ocala Florida real estate agents, I take pride in helping homeowners looking to sell their property, as well as helping first time home buyers that are FHA approval, and Veterans with pre approval letters, that are looking to buy a home in Ocala or any of the Central Florida counties we service, you can count on one of our Professional real estate to deliver for you. We have the expertise to provide professional customer service. Once a first time home buyer and as a Veteran, I pay strict details to the little things like, making my appointments on time, helping my clients through the whole process step by step; With DECADES of experience in sales, we are extremely knowledgeable of this area, and can locate that extremely difficult to find home. Otherwise, with so much property development taking place in and around Ocala, Florida, finding that one home which meets your needs perfectly can be a rather daunting task, especially when one considers the fact that most of these homes are of good quality and reasonable value. We will assist you through the whole process of getting a loan and finding your dream home! Finding a Homes for Sale with an FHA loan undoubtedly have an added element of security attached to them, which is why they are eagerly sought. At the same time, there is a lot of documentation and paperwork involved (as is the case with many of the properties) whereby the presence of a capable, knowledgeable, and highly ethical real estate agents very well versed with FHA home loans, hiring one of our Real Estate Agent you will get the professional service you deserve as a client. Use our free MLS Listing tool search tool to find your dream home. With The Fred Franks Real Estate team as your real estate agent, you have an agents that cares! If you are a first time home buyer in Ocala Florida, there are many programs out there that can assist you. With one of our Realtors as your real estate agents, you have exactly such a person, with specialized knowledge and experience of FHA loans, and properties in and around Central Florida which can be purchased via FHA loans. If you are looking for Real Estate Agent, consider The Fred Franks Real Estate Team. As a member of Realtors Association, I pride myself on providing professional service to all my clients, whether you are buying a 30,000 or a 1 million home, you will get the same respect and common First Time Home Buyers – Are you a First home time buyer in Central Florida? There are many new loan programs out there, if you have a little money there are programs out there for you! A new conventional loan program out that offer 3% down. Get more information about First Time Home Buyers Program. VA Loan Programs for Veterans – This is an awesome program for Veterans, the VA guaranteed a loan to honorable discharged Veterans. First step is to go to the nearest Veteran Affair office to get a certificate. Foreclosure Properties – If you are investor or just interested in buying Ocala foreclosure homes for sale or Ocala real estate for sale at below market value? Use my search page Foreclosure homes to find out more. New Homes for Sale – Looking to buying a new construction homes for sale from professional local builders in Central Florida area? Use our MLS search tool to search for new homes builder in your area. Similarly, there are also demands made for homes with FHA loans, as well for veterans. Central Florida real estate is a nice retirement area for retired Veterans and retirees looking for a quite and safe place to live. Furthermore, when it comes to veterans homes, there are many perks in store, such as lower interest rates, the waiving of various fees, and so on. As a veteran, you may not be aware of all your benefits, and this is also the job of a professional real estate agent who is well versed with veteran’s homes and can guide you on the numerous advantages that lie in store for you. My goal is to help all my clients when search around for homes for sale. As Realtors in Ocala FL, this is exactly the type of person you will have on your team. We understand the importance of the various needs of service members, and will put forth maximum effort to meet your needs. I am pleased to say, that throughout my time in this business, I have been able to more times than not, meet the needs of our veterans, in and around the state of Florida, and in many places throughout the United States. A Real Estate Agents in Central FL that CARES! We have a proven track record, that we are very capable negotiator, and will put forth the maximum effort to ensure that veterans receive a fair price on the property that interests them. In most instances, it is understood that sellers pay the closing costs, and with me on your side, I will fight to ensure that will be the case whenever possible. 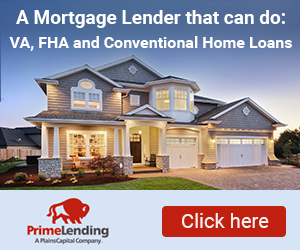 When it comes to FHA loans, and homes for veterans in and around Central Florida, you definitely need not look any further than The Fred Franks real estate team as your real estate agent, our Real Estate Offices is near downtown Ocala Florida So please feel free to give him a call at (352) 591-3350 or by filling out our contact us form. Read more information about Buying a Home, or if you are looking to sell your home. Use our advance Ocala MLS to find other Ocala homes for sale. Get the latest news from our Florida Real Estate Blog on the current events related to the real estate market in your area.